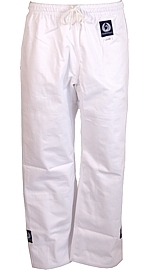 light weight white uniform, e.g. white sword jacket and white budo pants. 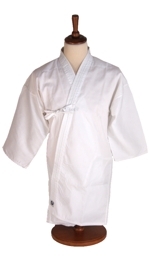 Meijin Budoshop recomends for basic course white katana jacket #320015 and white budo pants #33016. Or you can get a set of jacket, pants and trousers - Katana uniform #30515.Alternatively you can use Roku uniform, which is suitable for ju-jutsu also. 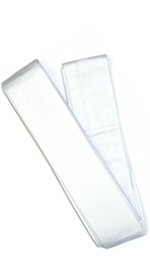 Roku uniform is 100% cotton so it will shrink in wash c.4% and during drum dry shrinkage can be more. Another suitable uniform is San uniform because it has laces on chest if you dont have hakama to hold your jacket close. White belt is used until 5.kyu (belt ranks are on student grades [Mudansha] 6. kyu-sha/white, 5. kyu-sha/yellow, 3.kyu-sha/green, 1-kyu-sha/brown.White sword belt #350015 or broader kakuobi #350013 white/black or white/white, goldenyellow, green or brown. 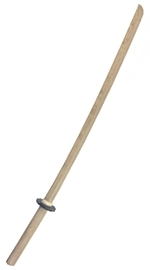 Bokken is 102cm for adults and juniors have shorter 90cm - it is most suitable to use white oak bokken #5000321022 or new with sword style spine #50003241022. High quality equipments last much longer. Meijin Budoshop white oak and red oak are long lasting. 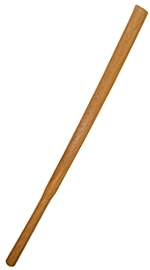 Meijin Budoshop wooden weapons does not need extra service or sand before use and they wont bend during practise. You are not allowed to carry wooden weapon on streets so you need weapon bag #20006. We recomend iaito 2 #60001 from our selection - it is economical and high quality for common practise. If you search for light weight (e.g. ladies and older members) we recomend iaito Higo #60003. 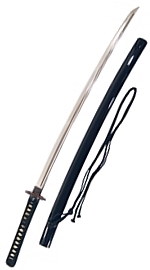 For long persons who need longer than 2.5shaku sword we recomend Doutanuki #60025 (light possible by request). 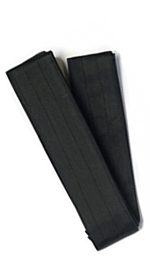 During master level you need black uniform; hakama, jacket and belt. Black jacket #320141 which goes with white cotton under jacket #320023 - you can find as a set #320142 too. Hakama AH1 #310048 or Hakama Aikikai #31051. If your AH1 hakama has plastic spoon you should remove it or you should tie up hakama extyra carefully so the spoon wont damage your back during practise. Thin people can choose IH1-hakamaa #310045 too. You can make an inquire to Meijin Budoshop for real japanese swords - prices from 3000€. According to the bugjet and length/weight we can ask for ready made models. New sowrd available too according your request strating from 9000€. You can practise strength and swinging the sword properbly with suburi bokken #500022116 and #500022062.
soft weapons #70001 are suitable for contact practise. It is wise to have clean and proper looking uniform and hakama to camps, shows and gradings which will give good image of yourself. 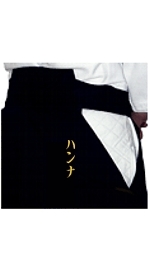 You can have embroidery to hakama, uniform and belts in roman letter or in katakana. 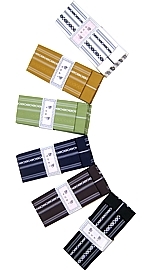 Meijin Budoshop can make embroidery to new clothes and belts and separate name tags in fabric. Katakana help available on requess so you do not need to know how to spell yor name in japanese.